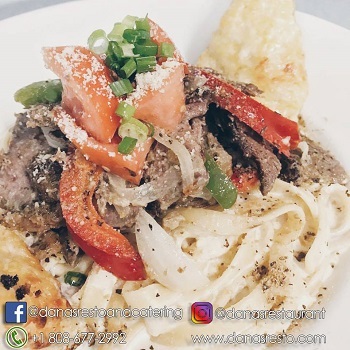 Dana's Restaurant & Catering - 50% OFF Catering! Receive one (1) $50 gift card for $25 for Catering! 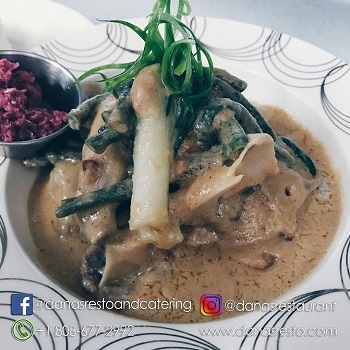 We are so proud to offer Hawaii's favorite Filipino cuisine. Have you tried the caramelized lumpia or our neighborhood favorite krispy pata! We would love to serve you and your family tonight. Stop by and say hello. Planning that big event? Catering is our specialty. Call us today and ask about our specials. Planning a party? 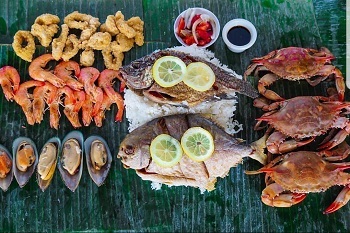 There’s no better way to celebrate a special occasion than by serving up your Filipino favorites. We offer party platters for graduation, weddings, first birthdays, anniversaries, and any other occasion you can celebrate! Karaoke on Friday & Saturday! Come and get your groove on with us. One gift card per catering purchase. No cash value. Cannot be combined with any other discount offers.